We're back with another high note to let you know everything we know about CBD. If you follow us on Instagram then hopefully you were locked into our Insta-stories when we shared how we use CBD for stress relief. We polled our Pink Stoners and found that half of our girls didn’t know about using CBD for stress relief and anxiety. Even with increased attention around mental health and self care, some still automatically associate it with marijuana and getting high. That’s not the case. CBD has many known health benefits including pain relief, reducing inflammation, anti-acne, and mood enhancement. Do I need to try CBD? We really don’t like to tell adults what to do. Our approach will always be try it for yourself and figure out works best for YOU! CBD has maximum efficiency when used consistently and it will take a while for your body to adjust to the chemical compounds found in CBD. Its recommended to take CBD consistently for at least 7 to 10 days to allow its full effects to work properly. If you’re new to CBD, try using 2-3 milligrams daily at first. Depending on your metabolism, body weight, cannabinoid tolerance, and desired effects, you may wish to start with 5 milligrams instead. You can always increase your dose once you know how CBD will affect you. Do your googles or talk to your doctor to figure out the appropriate dose for your condition. Organic, 100% Natural-Pure CO2 extracted, Gluten free, Non GMO Hemp, and no heavy metals. In order to get the CBD that best suits your needs, the two most important things to consider are the strength and concentration. A quality product will start off having somewhere between 250mg to 1,000mg per fluid ounce. Don’t be misled by the total volume of oil. The milligrams of CBD are what counts. Knowing the total milligrams of CBD rather than the total volume of oil will help you compare products and get the best value. Just like everything in life, you get what you pay for. Production of quality CBD oil isn’t cheap. Is CBD even legal ? CBD derived from hemp is legal in most states. This includes all hemp-derived CBD products like oils, edibles, and ointments. However, marijuana-derived CBD is a different beast. 15 states have limited-access laws that allow cannabis only as CBD oil, with restrictions on the levels of THC varying per jurisdiction. These 15 states are: Alabama, Georgia, Indiana, Iowa, Kentucky, Mississippi, Missouri, North Carolina, South Carolina, Tennessee, Texas, Utah, Virginia, Wyoming, and Wisconsin. There are currently nine states where cannabis is completely legal for medicinal and recreational use. If you live in one of these nine states, you can use CBD that comes from hemp or marijuana. These states are Alaska, California, Colorado, Maine, Massachusetts, Nevada, Oregon, Vermont, and Washington, plus the District of Columbia. As of 2018, there are only four states where all marijuana and marijuana-derived products are illegal. These are Idaho, Kansas, Nebraska, and South Dakota. If you are in one of these states, it is crucial that you know what kind of CBD extract you are using and where it comes from. As mentioned before, if you are consuming hemp-derived CBD anywhere in the US, you are good. Just remember CBD products derived from marijuana, laws vary greatly at the state level. You can buy CBD hemp oil from your local health and wellness shops, medical and recreational dispensaries, and online CBD stores. 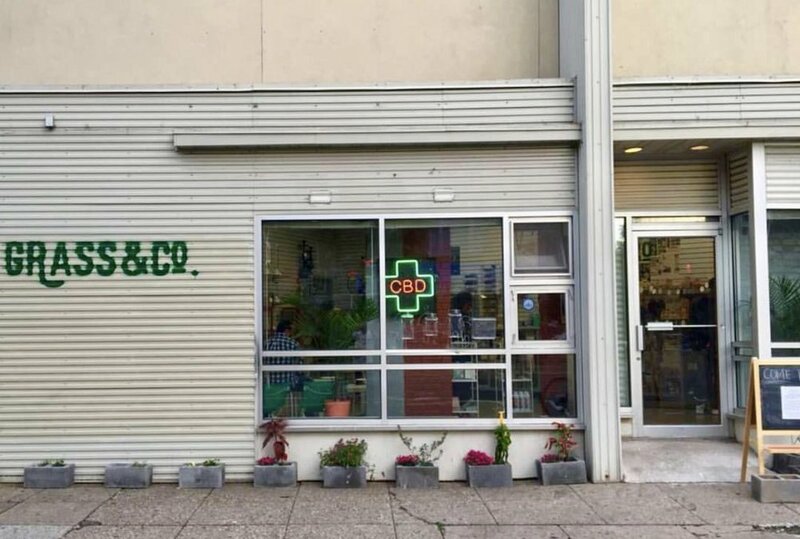 If you're in DC we highly recommend Grass and Co in Adams Morgan for quality CBD products. We were not paid to tell you about this shop but if you go tell them the dope girls from PinkStone sent you!